Please send the article and information about the author to both emails journal@ortpublishing.de and europe@anopremier.ru. The articles are only accepted via email. Working languages – English, German, Russian and Ukrainian. Example of the output information of an article – Ivan Nikiforov, A. 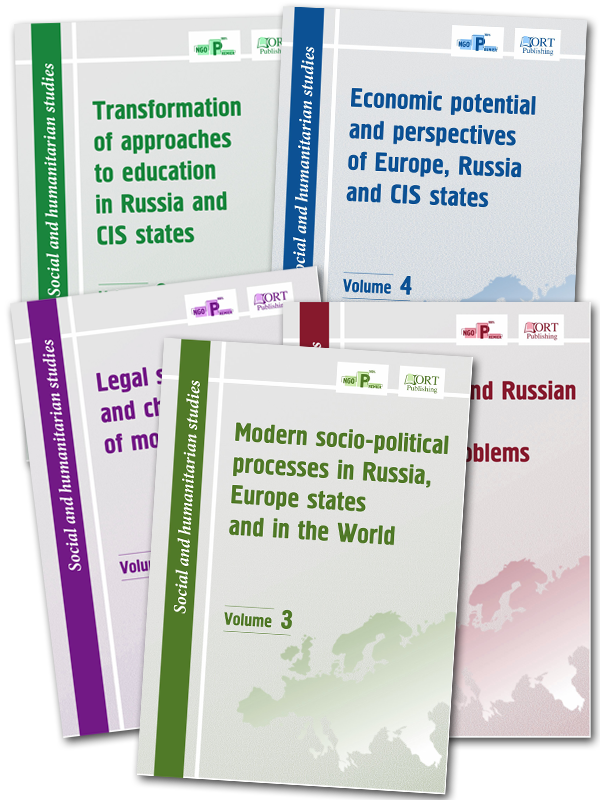 Space Robotics // Modern socio-political processes in Russia, Europe states and the World / ed. by L.Enders. – Stuttgart, 2014. – P. 40-62. After passing the review, you will receive an email with complete calculation of cost and all possible ways of payment within 3-5 days. We will send you author’s copies immediately after publication. How to find out a tentative volume of an article in pages? Select «Service» in MS Word => «Statistics». Divide the number of characters without space by 1800 and obtain the number of pages. Previous publications with ORT Publishing or LLC "ANO Premier"
Transfer via «Robokassa» – over 20 ways of payment, including while at home – bank card, through payment terminals, Internet banking, mobiles, iPhone/iPad, e-cash. evelopment and adoption of innovative concepts"
Name of the file with application for publishing​ Separate file with the name "Application - Surname of the Author"
Name of the file with the article​ Separate file with the name "Name of the column of the article – Surname of the author"
(Page-by-page footnotes) Page-by-page footnotes (at the bottom of the page) with page-by-page numbering. In this case, all references in the work are numbered separately on every page - 1, 2, 3 etc. The font size is 10. The references from the table cells are not permissible. See an example in Supplement №1 of the Request for publication. List of references The used sources have to be put at the end of the article, numbered in alphabetic order. See an example in Supplement №2 of the Request for publication.